No, I'm not dead. I've been painfully busy (again) lately, but like I mentioned earlier, I have been making wonderful things! I've been learning how to make wine! 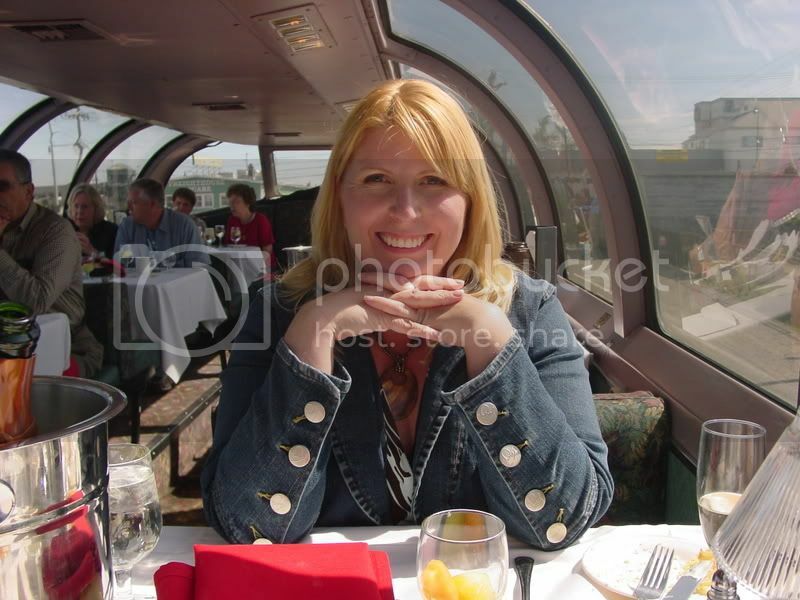 Every few years I recreate myself and dive head first into a new learning venture. Sometimes it pays off (like canning and preserving or making cakes) and sometimes it doesn't (like getting an advanced degree in something I'm not even sure I like...'nuther story!). But any way it goes, I am always amazed at what I am capable of learning and doing for myself, and this time it's a doozy! 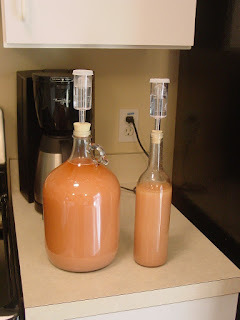 A few weeks ago, I started a lovely Strawberry Wine recipe from an amazing home winemaker by the name of Jack Keller. Jack lives in Texas. Everything is big in Texas. Therefore, Jack is big in Texas, and everywhere else home winemakers reach out to learn and gather information. He has quite a reputation in the winemaking industry and is fiercly passionate about wine. I often wonder how Jack can go to work at a "regular" job each week and manage to keep so much under his hat. But, as hobbies go, sometimes it's better if they stay just that...hobbies. The potential slippery slope to making a living from a hobby is that one day you realize it's WORK. And then it's not so fun. Anyway, check out his site at the link above. Read his blog too; you'll never know what you'll learn. Here is my wine when I first made it. It looks like strawberry milk doesn't it? 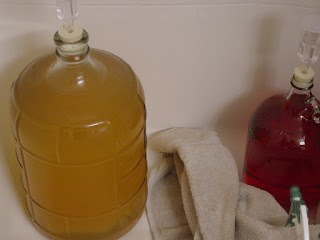 Here's what it looks like after about a month of fermenting, clearing, and racking. Pretty isn't it? I'll put it in some pretty bottles in a few weeks with some snappy labels. Snap! After that I started a 3 gallon batch of Banana Wine. Yes, Banana Wine! It has a slight banana nose (scent), but tastes like a full bodied Chardonnay or Pinot Grigio. It's yummy! Stay tuned and we'll see how these turn out. They will need some time to age (anywhere from 3-12 months), so I won't even know if I'm good at this for some time! Patience grasshoppah! Some of you (and you know who you are) might even receive a bottle or two as gifts, but don't hate me if it tastes like rocket fuel! 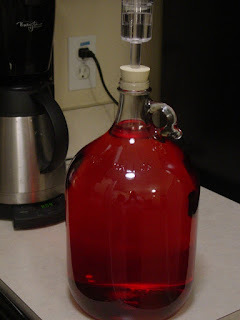 How pretty that strawberry wine looks, will you use it in cooking/baking ? Although there is a recipe for Habanero Wine that I'm dying to try. I've tasted a small amount of it (made by someone else), and my face turned red...then I started hiccuping! From what I've heard, it's GREAT for marinating meat. Or for staying warm in the winter! My next batch will either be a general concord grape wine (table wine) or a lovely lemongrass mint. Wine a Bit; You'll Feel Better!